Brewster ended last season at 21-21-2. They ended the year with the most RBI in the league with 206, the only team to break the 200 mark. They also tied with Falmouth for the most runs in their 2017 campaign with 224. This potent offense was powered by Nicholas Dunn and Michael Gasper. In 39 games each, they hit .333 and .305, respectively, and accounted for 46 of the team’s total run production. But, you know what they say; defense wins championships. The pitching proved to be a strong suit of the Whitecaps as well, with sophomore Tony Locey pitching in 8 games, including 7 starts, where he boasted a 4-2 record with a 2.75 ERA. With three returning players and a successful college season for their third year coach Jamie Shevchik they will be a team to watch this season to see if they can bring it to a two peat year! 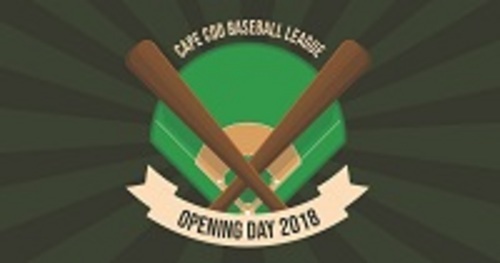 Cotuit finished second in the west, and look to stay at the top of the division pending success with a solid amount of newcomers. They look to improve their pitching as they had a team ERA of 4.17, but they look to keep a solid team batting average of .250. The second 5 o’clock game comes from Yarmouth-Dennis where the Sox take on the 2017 runner-up Bourne Braves. The Red Sox finished second in the East Division with an overall of 27-16-1 last year. In the opposing dugout, the Braves finished third in the West Division at 22-22. Christian Koss returns to YD after hitting a cool .309 in 35 games last year, and he will be looking to repeat success this year. Defensively, the Red Sox return Karl Kauffmann who pitched in 9 games and ended the season with a 1.26 ERA. As for Bourne, they return their top bat from last season in Gavin Williams. Gavin played in 38 games and hit .326 while manning second base for the Braves. Bourne looks to make it back to the championship game this year. The 6 o’clock game features last years West Division winners Falmouth Commodores at 24-19-1 as they travel to McKeon Park in Hyannis to take on the Harbor Hawks who finished last in the West at 16-25-3. Falmouth boasted a run differential of +21 in 2017, and they look to continue this trend with a new group of guys coming in 2018. Key returning pitcher William Ethridge ended last year with 10 appearances, throwing 14 innings and keeping a very impressive 1.29 ERA in the making. Hyannis too has a strong group of new players on the roster for the 2018 season. After posting a run differential of -78 and a team ERA over 5.00, the Hawks have a fresh start on Tuesday to turn last years stats around and show that they are here and ready to compete in the West this season. The 6:30 game will take place at Whitehouse Field where last years East Division winners, the Firebirds, will take on the Mariners. The Firebirds had a great year in 2017, going 29-15 with the largest run differential in the league at +73. They look to go back-to-back division champions in 2018, and they will have to do so with a fresh group of talent, similar to other teams this year. Last year’s .272 team batting average and a whopping 34 home runs definitely helped their run differential and success in the division. Harwich finished last in the East last season. Pitching is an area that the Mariners must improve on after posting a 4.71 ERA in 2017. There are plenty of new pitchers coming to Harwich this year, and they hope to make an immediate impact for the ball club this season. The final game of opening day takes place at 7 o’clock in Chatham. Last year, the Anglers finished 21-23 while the Gatemen finished 18-25. Both teams look to improve this season. The Gatemen collectively hit .253 and pitched a 3.78 ERA last season. Coach Don Sneddon looks to repeat these numbers, as they were able to clinch a playoff spot coming out of the West. Chatham too was able to clinch a playoff spot being under .500 for the season. With returners Jeff Belge and Dan Hammer back on the staff, Chatham looks to improve and break that .500 mark this year, and make some noise in the East this season.